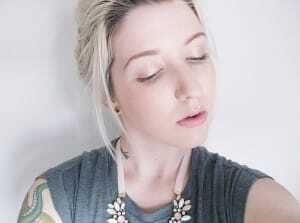 Home / Blog Posts / Guest Posts / How to apply foundation with the Nanshy Flat Top Buffer Brush? 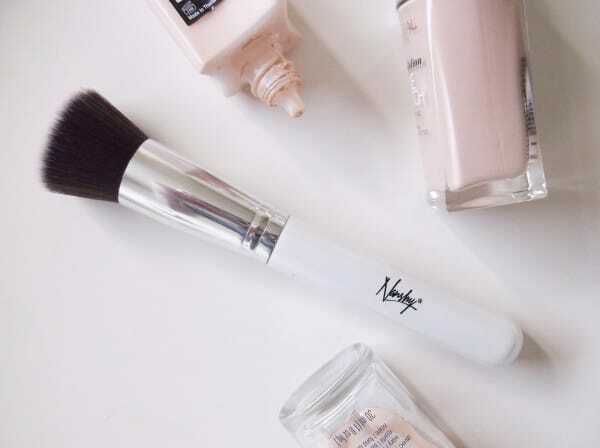 How to apply foundation with the Nanshy Flat Top Buffer Brush? Hello beauties! Today I’m going to be quickly talking you through how to apply foundation with the Nanshy flat top buffer brush. Of all the brushes I’ve applied my base with, The flat top brush is by far the easiest, and gives the most beautiful airbrushed finish. 1. Cleanse & Prime your face. This step is crucial, because you will get a better result and It will be more long wearing. Apply concealer to any blemishes/imperfections and blend out. I then pump a little foundation out onto the back of my hand, this way you have more control and don’t put too much product on your face. You can just build it up to the finish and coverage you desire. 2. Tap your Flat Top Brush lightly into the foundation and begin working it into the center of your face, blending outwards towards your hairline in circular motions. I usually start on forehead and work my way down. 3. With any leftover product on the brush, blend around the Jaw line and slightly down your neck. This just avoids any unwanted ‘tide marks’. Especially if you are as fair as I am! If you need to build up a little more coverage, Just repeat step 2 & 3. 4. Go in and finish off the rest of your makeup. Then, Set the foundation with your setting powder of choice. I really like to use a foundation brush and gently press the powder into the skin. It sets everything beautifully without disturbing your hard work underneath. The Nanshy Flat Top Buffer Brush picks up the perfect amount of product, unlike a lot of brushes that soak up liquid products. The flat top with super soft bristles is excellent for moulding to your face’s natural structure, giving you a consistent blended finish. Guest Blog post by Latasha JJ: Coffee addicted blogger with the standard shopping problems, Babbling about beauty and sharing my personal style with you loves. We hope this tutorial will be helpful to you. If you have different way how to apply foundation please share in your comment below.